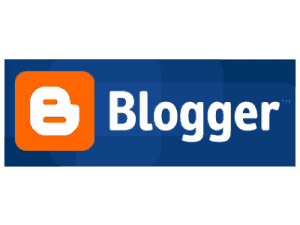 Blogger is the finest and the best blogging platform for bloggers who don’y use wordpress. The benefit of using blogger is that you never face any downtime, you can easily customize blogger templates using simple CSS and HTML. There are many blogger templates available on many sites, but we all know that only some of them are good looking and are able to fulfill our needs. Platinum Theme was originally created by Brian Gardner for WordPress only users but after some time the theme was converted to a blogger template by Anup Kayastha who is a web designer. Platinum blogger template is a simple magazine style blogger template which has outstanding looks, dual navigation bars and great looking features posts. The design is highly optimized for a Tech blog. Mashable is one of the top magazine blogs of the world which is read by millions of people every month. The theme has been created by bloggermint for bloggers who love the Mashable design. The Theme has been highly optimized for bloggers who want to give their blog a magazine design. 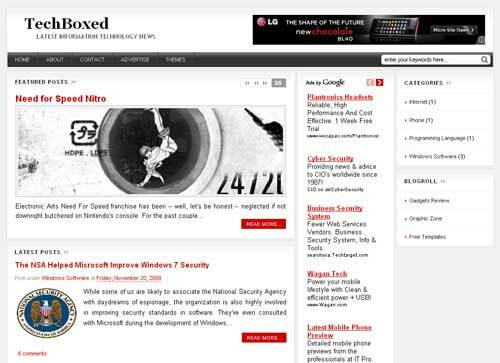 Thesis Theme for blogspot has been created by anup by taking the inspiration of ShoutMeLoud Blog. The design has been created for bloggers who love the shoutmeloud thesis design, the theme is highly optimized for search engines. This article is written by Vikas Bhatt. He is a blogger who loves blogging. He start blogging when he was 13. Now he runs sites related to iphone and android. If you wish to write for HBB, kindly check this. Author Bio - Guest author Vikas Bhatt is a blogger who blogs on various tech blogs and writes about stuff such as Rooting Nexus 7 Tablet. He also runs a Tech Column. Apart from this he does lots of guest blogging on several blogs. Attractive templates for free. Thanks for sharing. Thanks Vikas for the themes. Because I am running a small blog on blogger named Allaboutcommerce and I was finding a theme that looks very similar to WordPress themes. Finally my search ends at your blog. 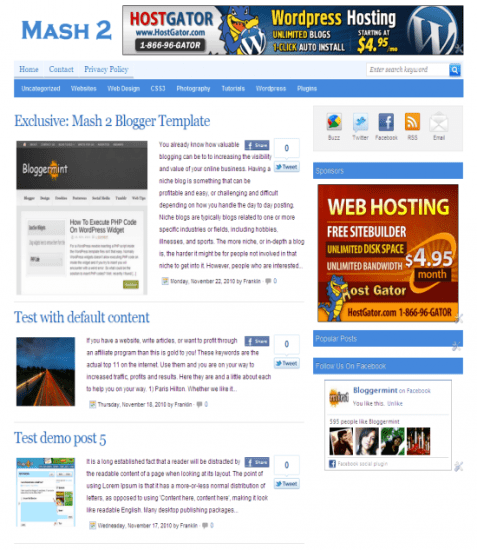 Great collection of Themes for Blogspot. 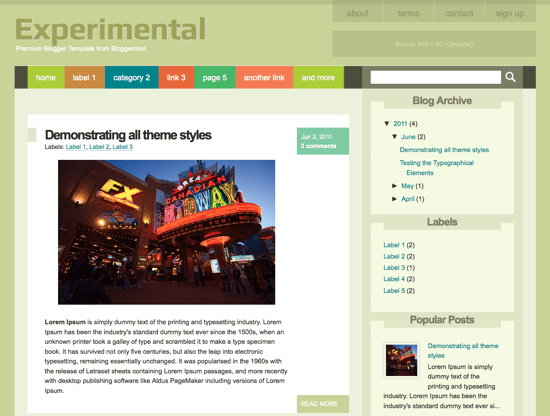 Thesis Theme for blogspot looks neat and professional. Dont like it much I like the dark ones may be black or something else. these are really good looking themes and very attractive also. This is the type of template I was looking for .. I have been using one of the free themes available with Blogger and I am quite happy with it. But I am happy to find such professional themes for Blogger, will try them out some day! Really nice themes, I too have one blogspot blog but it doesn't have any attractive theme so I thinking to use WPBoxedTech theme. I'd like to try the Platinum theme for one of my blogs. Looks smashing! 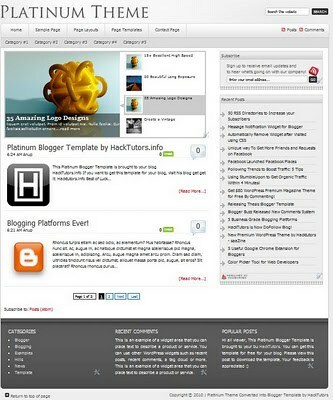 I've used "Platinum Blogger Template" for one of my satellite, it perfectly suits for niched medicine sites. Thanks. These 4 themes are great! Thanks for the sharing. I like the 3rd one..
jus need few css changes ….